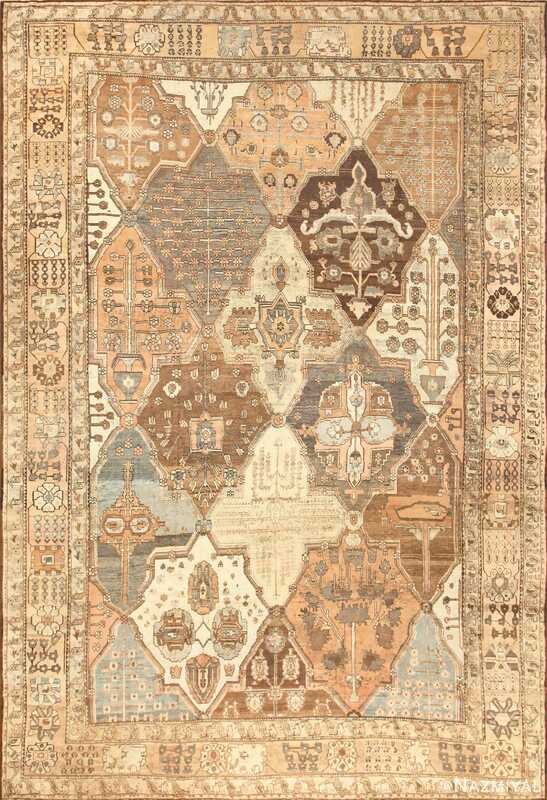 Beautiful Garden Design Tribal Antique Persian Bakhtiari Rug, Country of Origin: Persia, Circa Date: Late 19th Century – This antique Persian rug is filled with a quilted garden design latticework of four-pointed figures, each filled with unique designs rendered in earthy tones. Brown borders, studded regularly with small, round flowers, separate each piece. Splaying lines of flowers fill some shapes, while others feature trees or stylized representations of blooms. 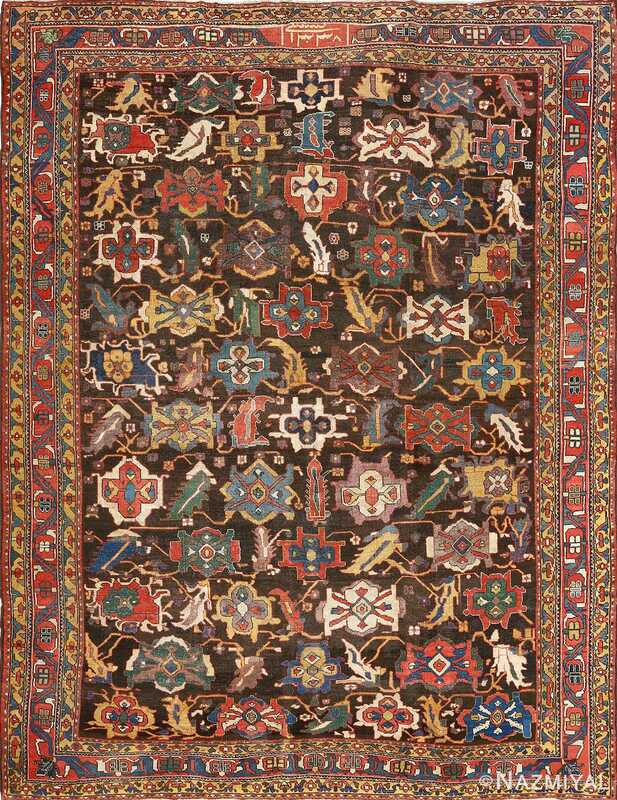 The background hues of each shift, seemingly at random, but the theme of growing things unites the antique Persian Bakhtiari rug. 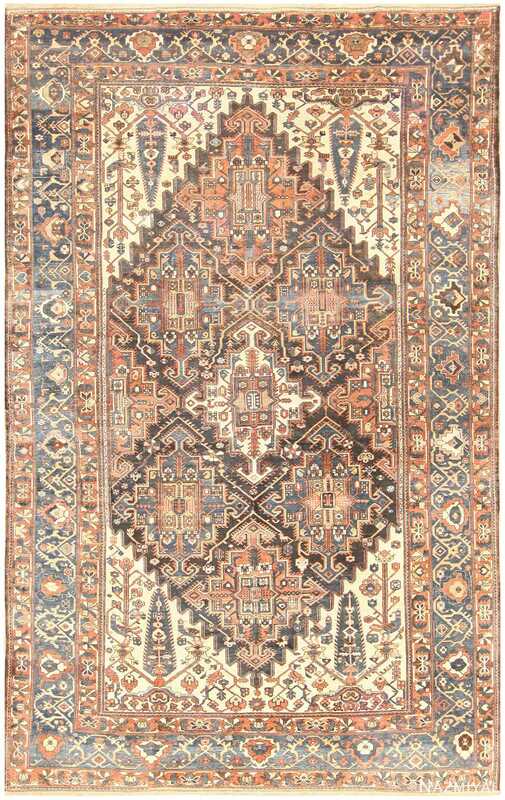 A trio of borders enclose the patchwork of the antique rug’s central field, featuring two matching bands on either side of one wide strip. Each of the three is backed in a tan hue, and the two flanking both showcase staggered geometric decorations. Between them, large blossoms are linked by dark brown lines, which also bloom with smaller florets. 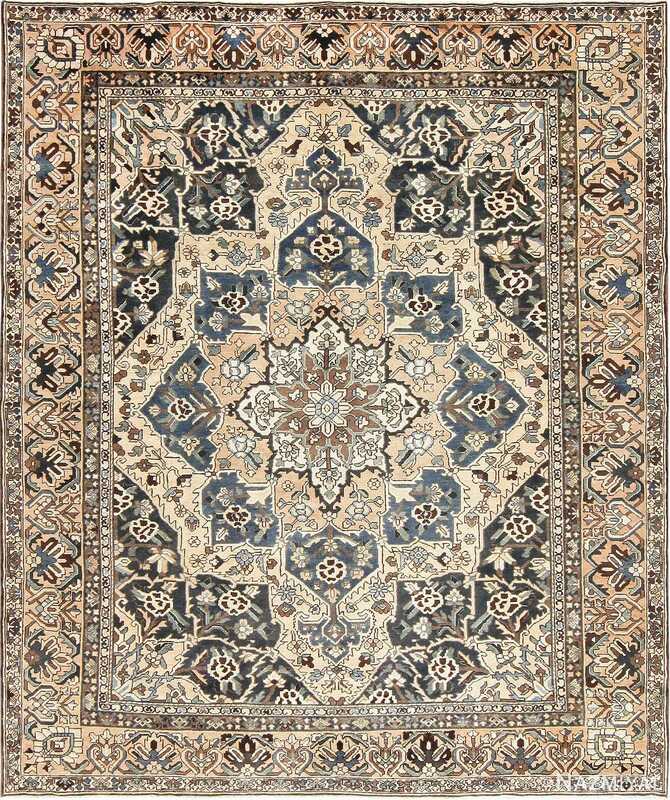 This dazzling antique Bakhtiari Persian rug delights with a complex field of soft blues and golds, which are dominated by a monumental central medallion.